ShutterstockThese deals won’t last forever. Dubai has a whopping 703 hotels with 111,864 rooms, the vast majority of which are in four- and five-star hotels. Many experts and industry researchers say the city’s hotel industry is suffering from oversupply, which is pushing down revenue and room rates for even top-of-the-line hotels. I found on a recent trip to the city that I could get incredible deals on luxury hotels that would cost a fortune in the US and Europe. Over the course of a week visiting the city, I stayed almost exclusively at four- and five-star hotels and never paid more than $US180 a night. Dubai is jam-packed with five-star hotels, beaches, luxury malls, and newly minted landmarks designed to be the biggest of everything – tallest building, largest indoor theme park, second-biggest mall, etc. It’s all part of the city’s aims to be the most popular tourist destination in the world by 2025. Already, it is the fourth-most visited city in the world, with a projected 16.7 million visitors this year, according to Mastercard’s Global Destination Cities Index. But all of that development aimed at the future of Dubai comes with growing pains. If you’re someone who’s been itching to visit the city, now’s the time to take advantage. Currently, there are 703 hotels with 111,864 rooms in Dubai, a city of 3 million people. That’s slightly more than the supply in New York City, a city of 8.6 million people. 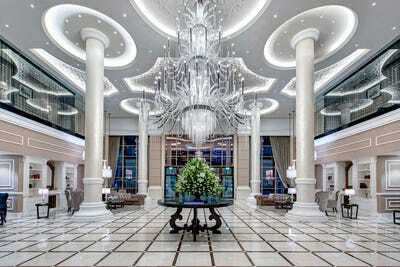 Only about 20% of Dubai’s rooms are in one- to three-star hotels. By comparison, 43% of Paris’s hotel rooms are in one- to three-star hotels. And development is far from over in Dubai. The city is currently ramping up to host the World Expo in 2020, when it is expected see 25 million visitors over the course of the six-month event. The number of hotel rooms is set to rise to 132,000 by the end of next year, and an additional 53 five-star hotels will open before 2020. Dukes DubaiThe lobby of Dukes Dubai, a five-star beachfront hotel. What does all of this mean to you? Well, you can get amazing deals on top-of-the-line hotels that would cost a fortune in the US or Europe. While visiting Dubai over the last week, I stayed at four- and five-star hotels almost exclusively and never paid more than $US150 a night. First I stayed at Form Hotel, a chic, design-centric four-star hotel that opened in May, for $US88 a night. 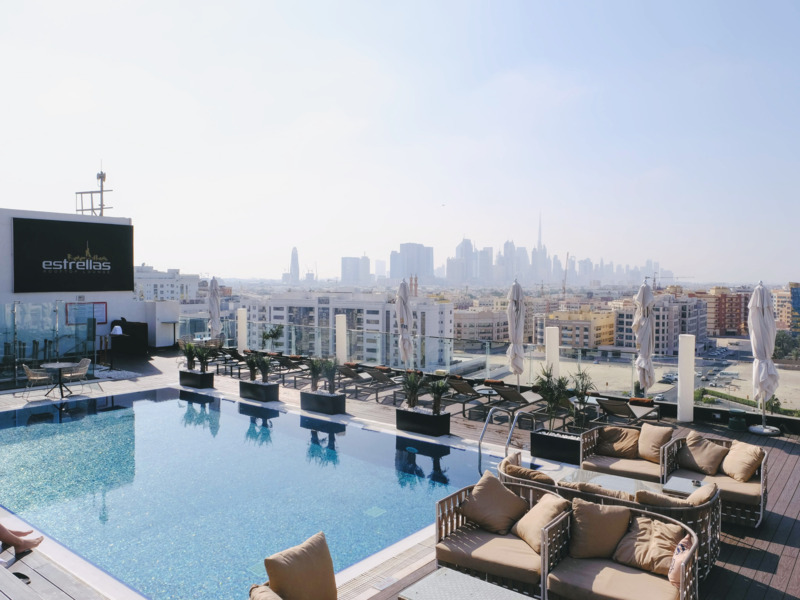 Then I stayed at The Canvas Hotel, a glam five-star hotel by Sofitel in central Dubai that features a hip rooftop pool bar, for $US103 a night. Afterwards, I jetted over to Rove Trade Centre for $US94 a night. 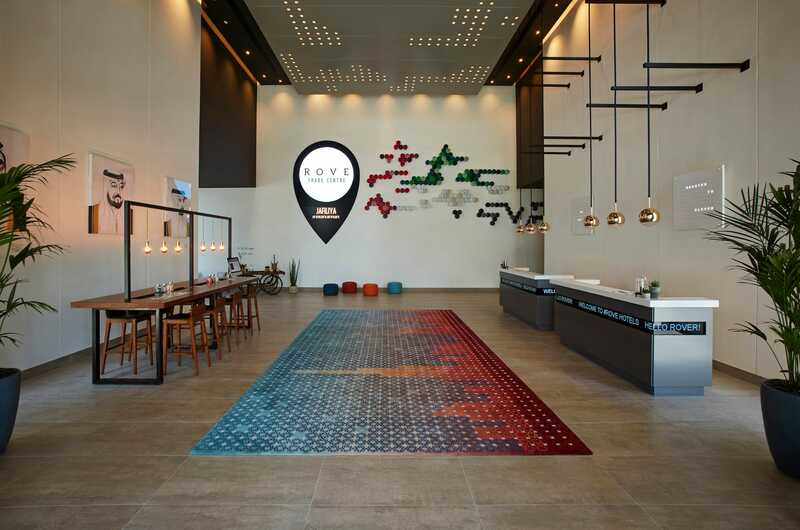 While Rove is technically a three-star hotel, it’s a brand new concept targeted to millennials that feels like a hotel mated with a WeWork. It was as nice as any of the others I stayed in. Rove HotelsThe lobby of Rove, a new mid-tier hotel concept geared toward millennials. Finally, I grabbed a room for $US180 at Dukes Dubai, a five-star beachfront hotel on Palm Jumeirah, the palm-tree shaped artificial island you see in pictures of Dubai. I got all of these deals during Dubai’s winter, when temperatures drop from a hellish 105 degrees Fahrenheit (41 degrees Celsius) to a more pleasant 83 degrees Fahrenheit (28 degrees Celsius). My experience may be anecdotal, but experts and industry researchers are sounding the same alarm. The issue is less a lack of demand for rooms, which keeps rising, but too many hotels opening. Harrison Jacobs/Business InsiderThe rooftop pool bar of Canvas Hotel Dubai. Dubai’s Department of Tourism and Commerce Marketing reported similar difficulties for the hospitality industry related to supply last year. 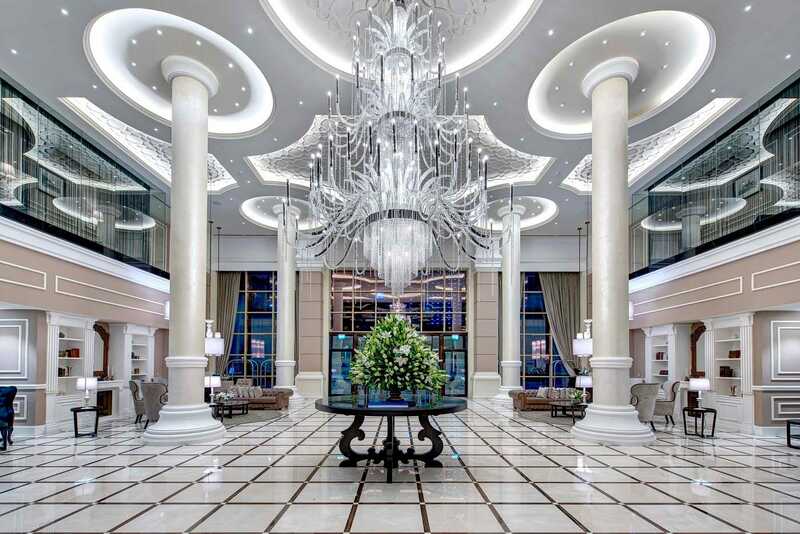 At the Gulf & Indian Ocean Hotel Investors’ Summit in February, Russel Sharpe, COO of Citymax Hotels, lamented that oversupply was pushing down revenue for hotel investors. “The last three years have seen a steady deterioration of [revenue per available room],” Sharpe said. Many hotels, STR reported, are trying to overcome the imbalance in supply and demand by offering more attractive rates to travellers, a point that Sharpe touched on in February. 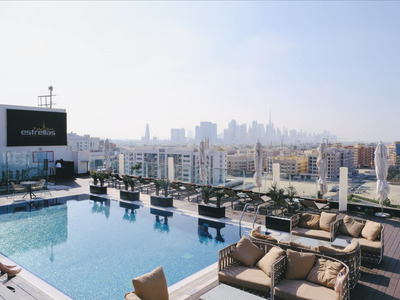 That may be a bummer for hotel investors, property speculators, and multinational corporations, but that means one thing for you: You can get some pretty sweet deals on fancy-shmancy hotels in Dubai. So go, have a ball.